Data protection or the art of shooting flies with a cannon and missing the big fish?! Has your e-mail box also been flooded for a few weeks with messages with a subject like “We want to stay in touch with you” or something similar? Yes, the EU’s new data protection regulation has recently been implemented. The situation is a little bit like it was with REACH. Companies have known for a long time that they need to act, but are not responding until the last minute. Smaller companies in particular, which do not have an army of IT specialists, are often overburdened with the correct implementation of the data protection regulation. Errors in the handling of customer data will be almost inevitable – at the local soccer club, the hobby blogger, the carpenter’s shop around the corner, the medium-sized plastics and rubber processor, and perhaps even for you? It is to be hoped that after 25 May the relevant control bodies will first take a look at the big fish – Google, Facebook, Yahoo & Co. – and not take the first official action to see whether the list of newsletter recipients of the local dog sports club has been compiled correctly. 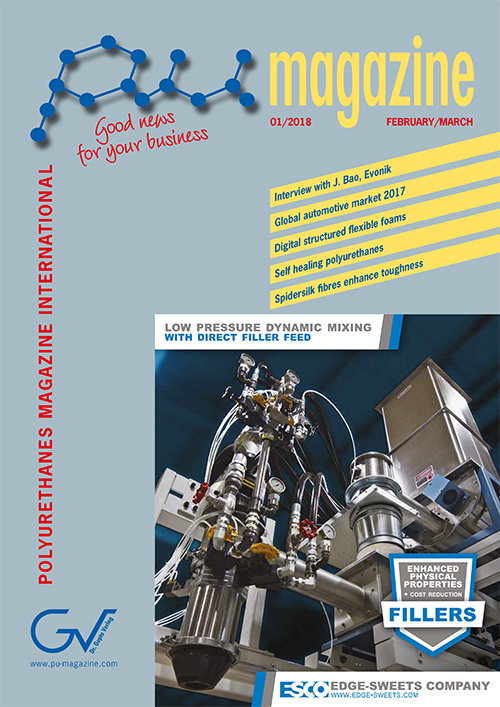 Speaking of newsletters – a company in the field of interfacial chemistry contacted me today to ask if I would like to continue receiving its newsletter. This company showed how to turn the tiresome duty of correct data collection into a really good thing. For every confirmed newsletter subscription, the company donates one euro to a project dedicated to fighting against plastic waste in the oceans. * Now, even the big fish can be happy! In late 2017 Hennecke acquired all shares of OMS Group. 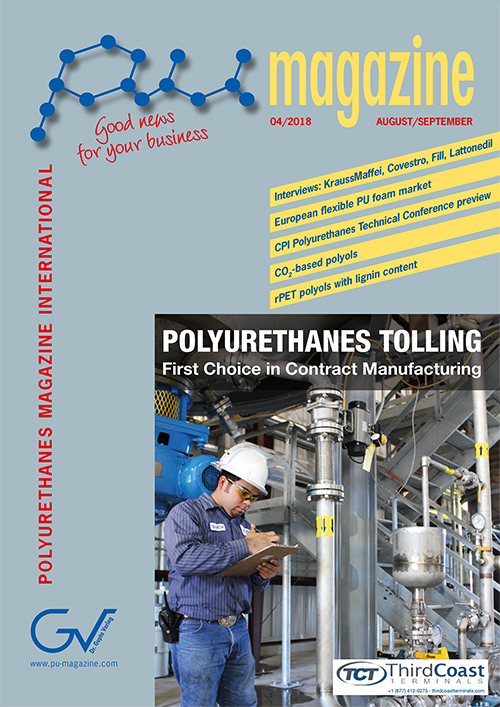 The two machine manufacturers joined forces to form a leading company in the polyurethane machinery business. 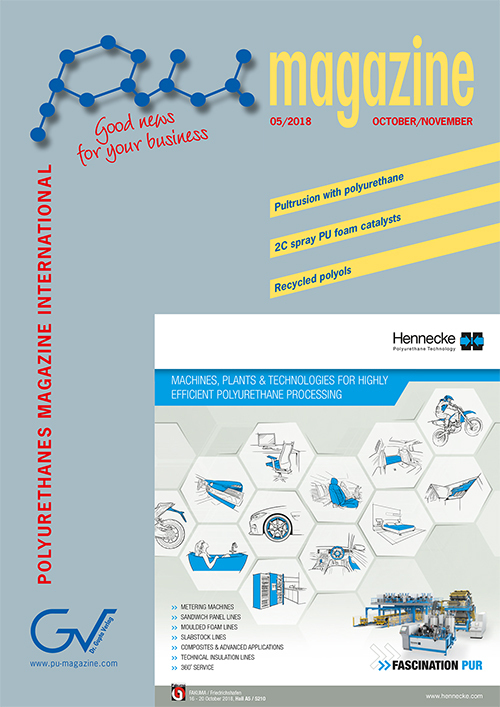 PU Magazine International had the chance to visit Hennecke’s headquarter in St. Augustin, Germany, and to talk to managing director, Rolf Trippler, and OMS Group CEO, Enrico Lombardini, about the resulting changes for both companies and the future strategies. ISL-Chemie GmbH & Co. KG, a Berlac Group company and producer of pigment pastes and special coatings for the plastic and lacquer industry, is celebrating its 50th anniversary this year. Since its foundation in 1968, the company stands for German quality – in development as well as production. When using high-quality materials in a sophisticated and expensive manufacturing process, it is essential to make the best possible use of resources. Nesting programmes therefore have been standard for some time now – in cases where, for example, short blocks must first be split horizontally and then, using nesting software, vertically contoured. Albrecht Bäumer has developed a software for horizontal contour cutting machines, which automatically put different mattress programmes together, nesting them in a foam block (short and long blocks). This year, KraussMaffei’s Reaction Process Machinery (RPM) celebrates not only the 180th anniversary of KraussMaffei as a whole but also its own jubilee. In 1968 – exactly 50 years ago – its first specialized clamping unit with two rotation axes for processing polyurethane was introduced to the market. 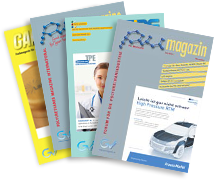 This launch triggered a development resulting in a wide variety of products and processes thanks to which it has been possible to further improve the performance capacity of PU components. 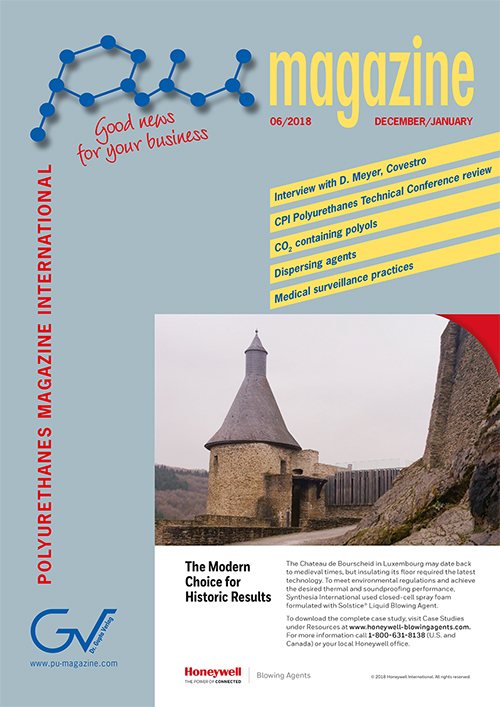 Here you can read about a election of the milestones in chronological order – beginning with the world’s first self-cleaning mixing head and going up to the present day with current cutting-edge technologies and system solutions for foaming polyurethane, for high-end surfaces or for fiber-reinforced lightweight construction. Over 300 participants including representatives from over 45 foam manufacturers attended the Europur and Euro-Moulders annual conference. The event took place on 12 and 13 April 2018 in Krakow, Poland, and focused this year on digitalisation as well as other topics critical to the flexible foam industry. IAL Consultants has published the eleventh edition of its study on the market for thermal insulation in Europe. This study updates the previous report published in 2015 and contains market data for all the main thermal insulation products by material type and end-use application for the base year of 2016. Data is presented in both volume (in cubic metres and tonnes) and value (in EUR million), with five-year forecasts to 2021. Materials covered include glass wool, stone wool, EPS, XPS, PU, PIR, phenolics, and flexible insulation. The study covers 27 countries (including all major European thermal insulation markets) and is split into 15 country volumes. In addition, separate material volumes are provided for the four key insulation materials: mineral fibre, EPS, XPS and PU/PIR. 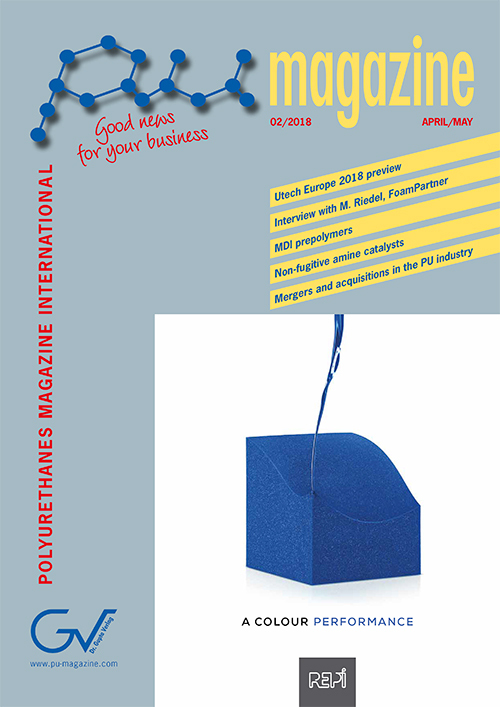 Fluorochemicals have been an integral component in polyurethane foams since the 1950s. 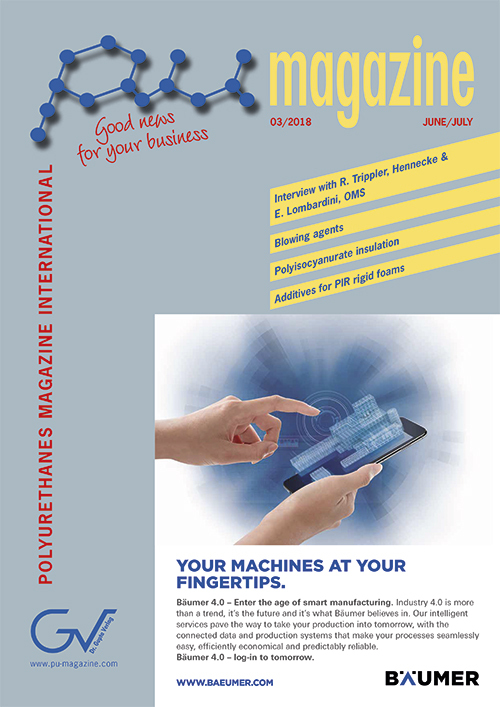 The unique combination of boiling point, solubility, and thermal conductivity, inherent in these materials, has improved the insulation properties of rigid polyurethane (PU) and polyisocyanurate (PIR) foams. This improvement has, in turn, reduced the energy consumption of various products which use rigid foam as insulation, such as domestic and commercial appliances as well as homes and commercial buildings. While there is a continued need for further reductions in energy consumption, fluorochemicals are also being challenged to have less impact on climate change by having a low global warming potential (GWP). To meet those performance and environmental challenges Arkema introduced the hydrofluoroolefin (HFO), low GWP blowing agent, Forane FBA 1233zd. We have shown many different foam applications blown with HFO 1233zd, exhibiting improved thermal properties over high GWP materials such as HFC 245fa as well as low GWP materials like hydrocarbons. Such applications include appliance, spray foam, and various cold chain systems. In this paper, we will show improvements in both system performance and foam properties that can be obtained by the addition of HFO 1233zd to an n-/isopentane blown PIR system. Thus we will show that replacing the n-/isopentane blowing agent with increasing amounts of HFO 1233zd, while keeping the overall blowing level the same, provides improvements in thermal insulation. Additionally, we will show the impact of this change on other properties, such as compressive strength, dimensional stability, and small scale fire performance. Polyisocyanurate foam board (polyiso) has been widely used as insulation for commercial roofing and commercial and residential sheathing for more than 30 years. This is primarily because it has maintained the highest R-value per cm of thickness among common insulations through all the industry changes in environmental and performance requirements. Concerns have been raised in the past about the R-value of polyiso foams in colder climates, specifically relative performance at a mean temperature of 4 °C (40 °F) versus 24 °C (75 °F), as referenced in ASTM C1289. In this paper, we review data on low temperature R-value of various cellular insulation products used over the past 30 years. It is shown that the R-value behavior in pentane blown polyiso foam is very unique and a result of “abnormal condensation” of the pentane as the temperature is decreased. This paper investigates the formulation parameters that affect the low temperature R-value of pentane blown polyiso boards and offers a solution that would significantly improve this performance, while still maintaining all other desirable attributes of polyiso foams. Rigid polyurethane (PU) foams made with polyisocyanurate (PIR) formulations combine the benefits of improved intrinsic thermal stability and enhanced fire performance, and enable the use of low-functional polyols manufactured from renewable or recycled materials. However, processing of PIR formulations is typically more challenging compared to PU formulations, especially when PIR foams are manufactured at very high indexes, with a slower reaction time, or in flow demanding applications. These situations can cause PIR foams to have increased cell anisotropy and a negative impact on mechanical and thermal stability related properties. Additionally, PIR foams tend to be difficult to cure at the surface, which can affect the planarity and durability of metal panels. Momentive’s Niax additives can enhance the quality of PIR foams and offer potential solutions to these different problems.